AfriCamps at Oakhurst in Wilderness is opening on 1 October 2018, adding an additional stop as you travel to and through the Garden Route from one AfriCamps to the next. 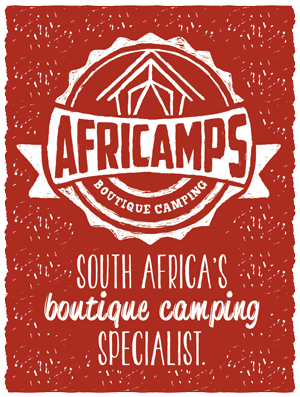 As we count down the days to the opening of AfriCamps at Oakhurst, we would love to make YOU a part of the journey! How? AfriCamps is giving one lucky winner the chance to #GlampTheGardenRoute, a prize to the value of R20 000! Simply tell us what your ultimate Garden Route highlight is. Everybody has one. Is it paragliding over Wilderness beach? A visit to the Outeniqua forest? Or are you willing to share your own Garden Route hidden gem? Visit our Instagram page, Africamps_sa and follow the page. Look for our competition post published on 1 August. Comment on the Instagram post with the Garden Route activity you would like to do while visiting. Tag the 4 friends you would like to take with you. Visit our Facebook page and look for the pinned #GlampTheGardenRoute Facebook competition post published on 1 August. Comment on the Facebook post with the Garden Route activity you would like to do while visiting. Just for fun, tag the 4 friends you would like to take with you. Go on, make someone’s day! Finalists and the winner will be announced on our Facebook page, make sure you like our page if you want to receive further competition info. Please note: This competition is in no way endorsed by Facebook. Entries to the competition open on 1 August at 11:30 and close on 21 August at 24:00. AfriCamps will announce five finalists on Monday, 27 August. AfriCamps will announce the five winning activities via a Facebook poll. Facebook followers will be able to vote and the winner who’s activity receives the most likes will win. We will announce the winner on 1 September 2018. The prize booking has to be made for six consecutive nights subject to availability. The winner can decide which camp to visit as an entry/exit point to the Garden Route: AfriCamps at Kam’Bati, Swellendam, AfriCamps at Stanford Hills, Hermanus, AfriCamps at Pat Busch, Robertson or AfriCamps Klein Karoo, Oudtshoorn. The prize is valid until 1 October 2019, but excludes stays during the months of December 2018 and January 2019. *AfriCamps will arrange for the winning Garden Route activity up to the total value of R2500. This prize can not not be exchanged for cash and no change will be given. The full prize to the value of R20 000 cannot be exchanged for cash and no change will be given. The prize does not include transport. Accomodation offered is on a self-catering basis: only 1 x ‘cook your own’ breakfast basket is included in this prize. Breakfast baskets and braai packs (where available) can be pre-ordered at an additional cost when booking. No AfriCamps employees or their affiliates are eligible to enter this competition. Contestants must be 18 years or older to be eligible to win.